P/N: AD10D2993-1 Price: $285 each Eligible On: Airglide C2200, C3000, C3200, and C3600 Skis STC: N/A FAA/PMA: N/A Weight: 8 oz. 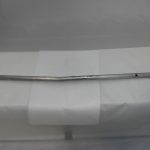 Material: 4130N, powder coated silver Purpose: Replacement for Airglide P/N 10D2993-1. Installation: Same as original part. P/N: 2609-BK Price: $52.50 per pair Eligible On: Aircraft using Cleveland Wheel and Brake Kits 199-71 or 199-62 (Double Puck Brakes) STC: N/A FAA/PMA: N/A Weight: 6 oz. Material: Aluminum Purpose: Keeps brake in place on the brake caliper when installing straight skis. P/N: ADC2FS3581ND (left hand) and ADC2FS3582ND (right hand) Price: $665 each Eligible On: DHC-2 Beaver STC: N/A PMA/FAA: N/A Weight: 2 lbs., 3 oz. Material: 4130N, powder coated white. Purpose: Boarding ladder for Landplane. Installation: Same as original stock part, bolt on installation. 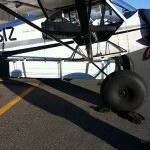 P/N: 3309 Price: $1,150 per pair Eligible On: DHC-2 STC: SA02133AK FAA/PMA: Supplement 24 Weight: 6.2 lbs. Material: 4130 N, powder coated gray. Installation: Direct replacement for DE Havilland P/N's CSFS209, C2FS3281A, C2FS210, and C2FS3282A. Misc. Information: Our part is an alternate means of compliance for AD 2002-14-28. 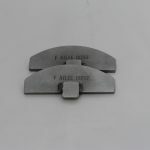 P/N: DHC2-IC Price: $17.50 each Eligible On: DHC-2 STC: N/A FAA/PMA: N/A Weight: .2 oz. 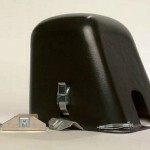 Material: Cork Purpose: Seals fuel tank inspection covers. Installation: Same as original stock part. Misc. Information: Part is .060" thick. 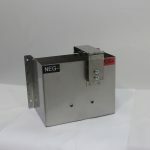 P/N: ADC2EE287ND-F Price: $147.50 Eligible On: DHC-2 MK I STC: N/A FAA/PMA: N/A Weight: 7.8 oz. Material: Stainless Steel Purpose: Increases ram airflow through the cabin heat intensifier tube. Installation: Bolt onto the front end of P/N C2EE291AND. 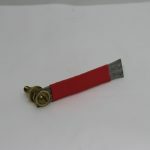 P/N: DHC2-SU Price: $22.50 each Eligible On: DHC-2 STC: N/A FAA/PMA: N/A Weight: .1 oz. 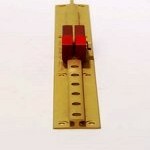 Material: Cork Purpose: Seals fuel quantity sending unit. Installation: Same as original stock part. Misc. Information: Part is .058" thick. P/N: AD-C2UT479A Price: $227.50 each Eligible On: DHC-2 Aircraft STC: N/A FAA/PMA: N/A Weight: 8 oz. 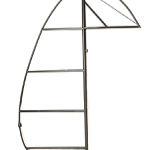 Material: 6061 T6 Purpose: Allows tailwheel assembly to be connected to rudder cables. Installation: Same as original installation. Misc. Information: Powder coated gloss white. Custom fabricated per customer request. Drawing on file at F. Atlee Dodge. P/N: AD-C2UT479A-4930 Price: $185 each Eligible On: DHC-2 Aircraft STC: N/A FAA/PMA: N/A Weight: 13 oz. 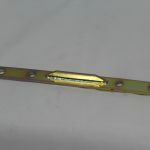 Material: 6061 T6 Purpose: Connects air rudder to water rudder. Installation: Same as original installation. Misc. Information: Powder coated gloss white. Custom fabricated per customer request. Drawing on file at F. Atlee Dodge. P/N: ADC3S23-15 Price: $885 each Eligible On: DHC-3 STC: N/A FAA/PMA: N/A Weight: 22 oz. 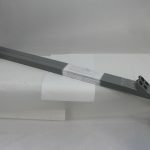 Material: 6061 T6 Aluminum Purpose: Used for wheel ski installation on DHC-3 only. Installation: To be installed at the same time as skis. Misc. 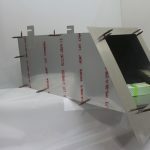 Information: Custom fabricated as per customer request. Drawing on file at F. Atlee Dodge. 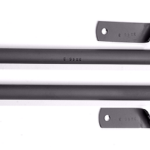 PN: 4237-1 (lower) and 4238-1 (upper) Price: $147.50 each for lower bracket, and $67.50 each for upper bracket Eligible On: Aircraft equipped with EDO 2000 floats. STC: N/A FAA/PMA: Supplement 1 (covers lower), Supplement 1 (covers upper) Weight: 3.5 oz. (lower) and 2.8 oz. (upper) Material: 304 Stainless Steel Purpose: Direct replacements for EDO P/N's 88-W-071 and 88-W-072-3. Installation: Same as original stock parts. 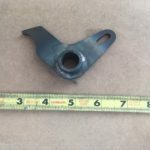 P/N: AD88-W-076-1 (left hand) and AD88-W-076-2 (right hand) Price: $75.50 each Eligible On: Aircraft equipped with EDO 2000 floats. STC: N/A FAA/PMA: N/A Weight: 4.1 oz. 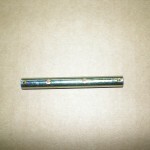 Material: Aluminum Purpose: Direct replacements for EDO PN's 88-W-076-1 and 88-W-076-2. Installation: Same as original stock parts. Misc. Information: Includes arm and opening for springs. P/N: WRBA-EDO2000 Price: $375 each Eligible On: All aircraft equipped with EDO 2000 floats. STC: N/A FAA/PMA: N/A Weight: 2 lbs., 3 oz. 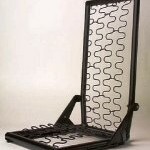 Material: Aluminum, powder coated silver. Purpose: Owner produced replacement for EDO P/N 88-W-076-1. Installation: Bolt on. 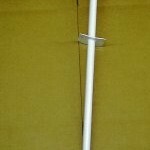 P/N: AD58-W-029 Price: $110 each Eligible On: Aircraft equipped with EDO 4930 floats. STC: N/A FAA/PMA: N/A Weight: 9.5 oz. 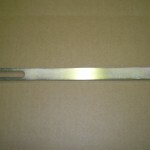 Material: Stainless Steel Purpose: Replaces stock aluminum tillers, stainless steel option prevents corrosion. Installation: Same as original stock part. Misc. Information: Part can be used as left hand or right hand. P/N: FSR-KIT Price: $265 per kit Eligible On: All aircraft equipped with EDO 89-2000 floats. STC: N/A FAA/PMA: N/A Weight: 2 lb., 9.2 oz. per kit Material: 6061 T6 Aluminum, powder coated silver. 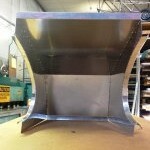 Purpose: Used to prevent propeller erosion by reducing water splash from floats. Installation: Rivets onto floats. Misc. Information: Parts include 4 attach angles per side. P/N: ES-180HP Price: $270 each Eligible On: PA-18 Series Aircraft STC: N/A FAA/PMA: N/A Material: Stainless Steel Purpose: Modifies both front and rear stacks to fit 0-360 engines and comply with 180 HP STC's. Misc. Information: Welding work is performed in our repair station. Please call us to schedule this service. P/N: 3166-1 Price: $285 each Eligible On: PA-18 Series Aircraft STC: SA4618NM FAA/PMA: Supplement 1 Weight: 2 lbs. 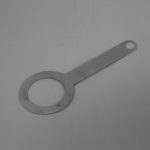 Material: 4130N Purpose: Heavy duty replacement for Piper P/N 30602-010 and 30602-007. Installation: Same as stock installation, please reference Piper Owners Manual. P/N: AD11523-00 Price: $47.50 each Eligible On: Piper PA-18 Series Aircraft STC: N/A FAA/PMA: Supplement 1 Weight: 9 oz. 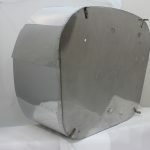 Material: 2024 T3 Aluminum Purpose: Direct replacement for Piper P/N 11523-00. Installation: Same as original stock part. Misc. 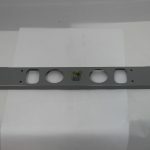 Information: Part is supplied as bare aluminum with nut plate and angle installed. This part will not fit if wing flaps are extended to fuselage. P/N: AD12274-00 (left hand) and AD12274-02 (right hand) Price: $37.50 each Eligible On: Piper PA-18 Series Aircraft STC: N/A FAA/PMA: Supplement 1 (left hand), Supplement 1 (right hand) Weight: 5.3 oz. 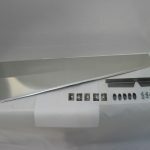 Material: 2024 T3 Aluminum Purpose: Direct replacement for Piper PN's 12274-00 and 12274-02. Installation: Same as original stock part. Misc. Information: Part supplied as bare aluminum. P/N: 3241 Price: $885 each Eligible On: Piper PA-18 Series Aircraft STC: SA02023AK FAA/PMA: Supplement 8 Weight: 6.2 lbs. 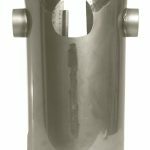 Material: 321 Stainless Steel Purpose: Heavy duty direct replacement for Piper P/N 12433-14 Installation: Please see Installation Instructions. P/N: 3284-LA Price: $435 each Eligible On: Piper PA-18 Series Aircraft STC: N/A FAA/PMA: N/A Weight: 9.5 lbs. 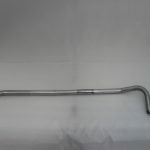 Material: 4130N Steel Tubing Purpose: Used for retrieval of damaged aircraft. Installation: Bolts on. Misc. 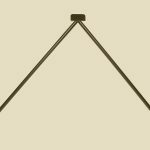 Information: Will fit both left and right hand sides, works for standard and 3" extended gear with 1 1/4 axles only. P/N: 3182 Price: $245 each Eligible On: PA-18 Series Aircraft STC: SA02025AK FAA/PMA: Supplement 8 Weight: 12.5 oz. 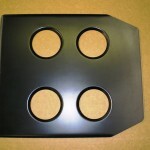 Material: 5052 Aluminum and 6061 T6 Aluminum Purpose: Approved replacement for P/N 14239-00. 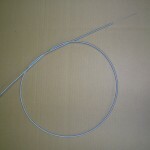 Installation: Same as stock shroud installation requirements. Misc. Info: Two piece split design allows for easier removal during inspections. Thicker aluminum lasts much longer than OEM parts. 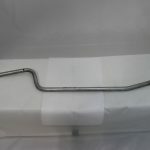 P/N: 3241-16 Price: $52.50 each Eligible On: PA-18 Series Aircraft STC: SA02273AK FAA/PMA: Supplement 2 Material: 304 Stainless Steel Purpose: Tailpipe support rod for PA-18 Hot Rod Muffler. Installation: Replaces Piper P/N 13003-00. Misc. 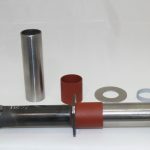 Information: For use with PA-18 Hot Rod Muffler (P/N 3241-HR) and 3" clamps without pin (P/N AD-C-3000). 1 rod is needed per exhaust. P/N: 3236 Price: $435 each Eligible On: Piper PA-18-150 Series Aircraft STC: SA02024AK FAA/PMA: Supplement 8 Weight: 1.9 lbs. 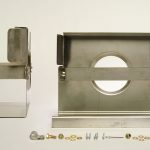 Material: 5052-H32 and 6061-T6 Aluminum Purpose: Direct replacement for Piper P/N's 12436-10 and 71261-08 Installation: Please see Installation Instructions. Misc. 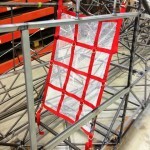 Information: Shroud is split into 2 pieces for easier installation and removal. P/N: U1105-00 Price: $20 each Eligible On: Piper PA-20 and PA-22 Series Aircraft with 1 1/2" axles STC: N/A FAA/PMA: N/A Weight: 2.2 oz. 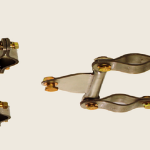 Material: 4130N Purpose: Spaces wheel from brake caliper. Installation: Slips on over axle. Misc. Information: Also commonly called a Bearing Stop for 1 1/2 axle. P/N: 3197 Price: $122.50 each, normally sold in pairs. Eligible On: PA-12 and PA-18 Series Aircraft STC: PA-12 SA02067AK ; PA-18 SA02066AK FAA/PMA: Supplement 16 Weight: 15 oz. 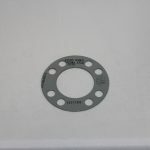 each Material: Stainless steel with aluminum spacers. Purpose: To remove the tie down load from the front lift strut U-channel that is attached to the front spar. Installation: Recommended at the time of wing covering. 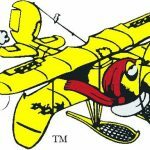 P/N: 3218-1 Price: $52.50 each Eligible On: Piper J3, J4, J5, PA-11, PA-12, PA-14, PA-16, PA-18, PA-19, PA-20, and PA-22 Series Aircraft STC: N/A FAA/PMA: Supplement 1 Weight: 2.3 oz. 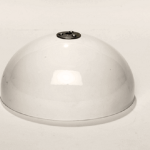 Material: 4130N, powder coated white Purpose: Direct replacement for Piper P/N 12345-04. Installation: Please see Installation Instructions. Misc. Information: Please see our Engineering Design Approval for more information regarding this replacement part. 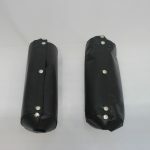 P/N: BUNGEE COVER Price: $67.50 per pair Eligible On: J3, J5, PA-11, and PA-18 Series Aircraft STC: N/A FAA/PMA: N/A Material: Naugahyde Purpose: Replacement for P/N 10566-000 and 10566-005. Helps keep bungees clean and allows for easier inspection. Installation: Covers snap on over bungees. 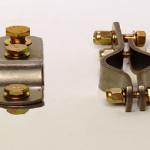 P/N: 3217 Price: $77.50 per pair Eligible On: Piper PA-12 thru PA-22 Series Aircraft STC: N/A FAA/PMA: N/A Weight: 3 oz. Material: 304 Stainless Steel Purpose: Allows aircraft to be hoisted for float, ski, wheel, and tire installations. Installation: Please see Installation Instructions. Misc. Information: This part will not work for J3 or PA-11 aircraft. P/N: 3164-5 (PA-18) and 3164-6 (PA-12 and PA-14) Price: $160 each Eligible On: Piper PA-12, PA-14, and PA-18 Series Aircraft STC: N/A FAA/PMA: N/A Material: 4130N, powder coated white, black, or gray. Purpose: Required for 6" Extended Length Main Landing Gear installations. Installation: Same as original stock part. Misc. Information: Custom fabricated upon request.